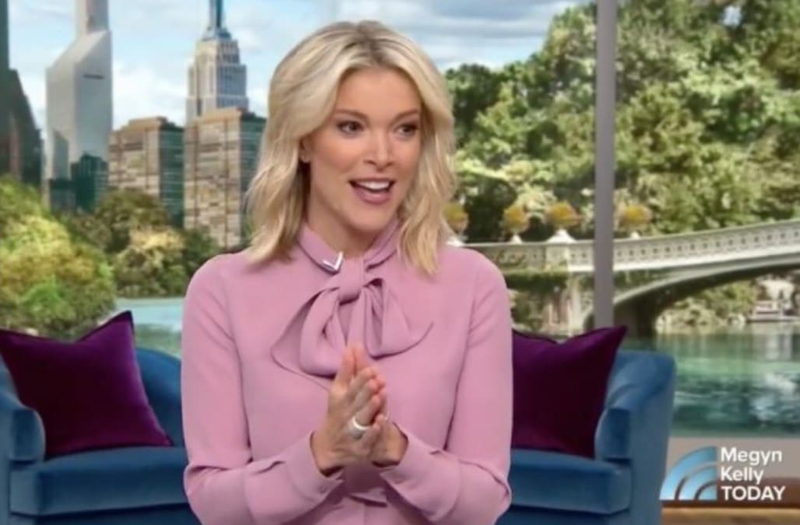 Megyn Kelly's debut episode of "Megyn Kelly Today" is getting slammed online -- for more than one reason. The former FOX News correspondent welcomed the cast of "Will & Grace" onto her new morning show on Monday morning ahead of the hit NBC sitcom's revival, and a comment that she made while talking to a superfan of the show is garnering Kelly criticism on Twitter. Kelly brought lawyer Russell Turner onto the stage to meet his idols saying, "Russell didn't know this was going to happen!" "Is it true that you became a lawyer -- and you became gay! -- because of Will?" she jokingly asked. After informing Turner that he would be getting tickets to a live "Will & Grace" taping and a behind-the-scenes tour of the set, Kelly turned to him and said her most head-turning statement of the morning. "I don't know about the lawyer thing, but I think the 'Will & Grace' thing and the gay thing is going to work out great," she said. Naturally, the bizarre wording garnered Kelly immediate backlash on Twitter, with a handful of critics tweeting the quote without much comment, in an effort to let it stand on its own. Additionally, Kelly has already been making headlines for announcing at the start of her "Today" hour that she was "done with politics" for a while. Many read the comment as representing her privilege and tone deaf amid our country's current political and social climate. Megyn Kelly did not talk about the NFL/anthem controversy today...if she was still hosting her Fox News show what would she have said? Considering how she built her career, Megyn Kelly’s “I don’t even care about politics!” act as she launches her new show is truly special. Can we please have Tamron Hall back! What an idiotic move, @NBCNews. "Megyn Kelly" is so awful. Remember when Megyn Kelly actually went on-air to tell people that Santa Claus was definitely, 100% white?